Radar image, evening of March 4, courtesy of Weather Underground. SUSSEX COUNTY, NJ – The National Weather Service has called for a Winter Weather Advisory through 7 p.m. on Thursday, March 5. Previously, a Winter Storm Watch, which calls for significant accumulations of precipitation, was in effect for the Sussex County area, but has since been downgraded. A Winter Weather Advisory calls for snow, sleet and freezing rain, which may impact travel. Governor Chris Christie has called for a State of Emergency, because of travel hazards throughout the state, including some sections where the Winter Storm Watch is still in force, as well as Winter Storm Warnings for even more severe weather. In some areas, power outages, falling trees and flooding may occur. The State of Emergency will be lifted once the Governor orders it lifted. Snow is predicted to be steady during this upcoming storm, and may accumulate between two to four inches. The storm will start off as freezing rain and sleet, before changing to all snow. In the morning hours, snowfall is expected to fall lightly, transitioning to heavier precipitation as the storm progresses. Temperatures on Thursday will have a high of 20 degrees and low of 2 degrees. On Friday, March 6, temperatures are expected to be sunny and clear with a high of 25 degrees and a low of 9. The National Weather Service has predicted that Northern New Jersey may be battling wind chills below zero on Friday morning. In the following week, temperatures are expected to reach highs in the 40s, with overnight temperatures between the 20s and 30s. 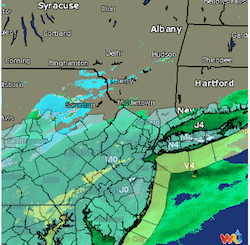 NJInsideScene.com will continue to track this storm, and to provide any information about delays, cancellations and closures on its Facebook Page. 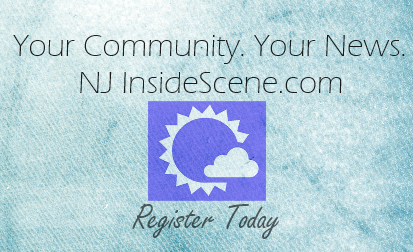 Click here to like NJ Inside Scene on Facebook.